Howard C. Thomas In normal subjects the regulatory apparatus of the immune system permits responses to foreign antigens but suppresses those directed to "self' components. Autoimmune disease occurs as a failure ofthis system either as a result of a primary defect in the regulatory apparatus (primary autoimmunization) or because of a change in the antigenicity of the tissues (secondary autoimmunization). Autoaggressive reactions are characterised by the presence of autoantibodies. When these are directed to membrane displayed antigens (Fig. 1) they are probably of importance in the lysis of hepatocytes. Those directed to cytoplasmic antigens may be useful diagnostically but are of unknown pathogenic significance. When no extrinsic aetiological factor can be identified, the process is assumed to be the result of a failure ofthe regulatory system, allowing the spontaneous expansion of a clone of autoreactive lymphocytes. The defect may be generalised or specific to certain groups of self-antigens and thus the autoimmune disease may be either multi- or unisystemic. The recent development of techniques to enumerate and measure the functional activity of the suppressor lymphocytes which control the effector limbs of the immune system has enabled investigators to test whether the various purported autoimmune diseases do have as their basis a generalised defect in immunoregu- lation. Assessment of antigen-specific immunoregulatory function is, however, not yet readily available. 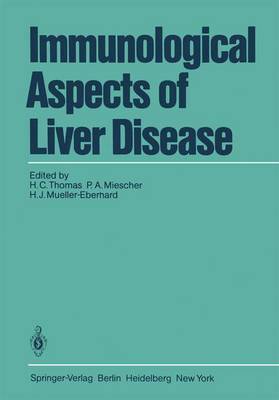 liver Membrane I Antigen (LIM) I Liver I HLA, A, B, C, Sensitisation to Specific -;::!IIIL. .